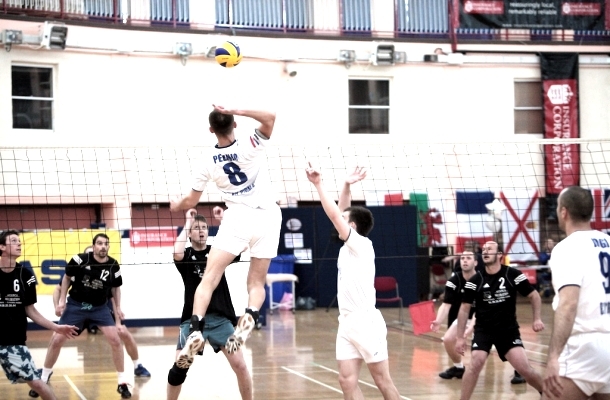 Since its start in 1983 the Open tournament has aimed to attract good standard volleyball teams to the Island of Jersey so that local teams have the ability to play different people. Based every year at Fort Regent where 5 courts are available, in its heyday it could attract 30 teams, however in recent years the numbers have dwindled, with the economic climate hindering players ability to travel. It is hoped to rejuvanate the tournament possibly twinning with Guernsey Open in order to boost numbers and make the events viable and successful once again. Regular visitors St Malo have won the mens and womens events on numerous occasions, and Ashcombe Ladies are undoubtedly the most successful womens team. Jersey won the Mens and Mixed events in 2008 and made the final of the Ladies.